CRS is one of 15 faith-based NGO members of the Foods Resource Bank (FRB): a humanitarian, nongovernmental organization founded in 1999 to end world hunger through agricultural development. FRB annually engages 200 US communities of farmers, rural leaders, faith leaders, agribusinesses, and rural/urban churches in a unique fundraising model called “Growing Projects.” These Growing Projects plant/raise and sell $2.5 million of US agriculture products each year which provides funding for 57 smallholder agriculture programs in 34 developing countries. These programs are all run by experienced FRB “implementing members” including CRS, Adventist Relief and Development Agency, United Methodist Committee on Relief, Lutheran World Relief, and others. FRB’s volunteer network of 1,000 US farmers, input suppliers, agribusiness people, and extension agents are involved in growing, processing, and distributing a wide variety of specialty and commodity crops, vegetables, animals, and dairy in their daily work. 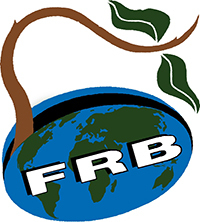 FRB also has a Bread for the World/Gates Foundation grant to bring seven delegation trips of farmers and other volunteers to Washington DC each year to meet with Congressional and Administration officials involved in agriculture and international development. During these visits, volunteers share their stories and engage in dialog about the importance of supporting agricultural in the developing world. CRL is a 90 year, member-based, national organization that provides education, advocacy, spiritual development and networking on behalf of rural communities in the USA. CRL has member organizations in 46 states and a national network of farmers, agricultural experts, agribusinesses, and other people and organizations involved in all aspects of agriculture and rural life. CRL uses its advocacy network of 2,200 leaders nationwide to advocate on behalf of issues impacting rural communities such as sustainable agriculture, stewardship of the land, and outreach to groups including Hispanics and Native Americans. CRL has a large partner network that includes universities, nonprofits, faith-based organizations and secular organizations. 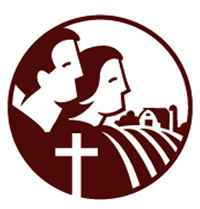 CRL is the North American member of the International Catholic Rural Association based in Rome, which works to address rural concerns worldwide through their 100 country members. 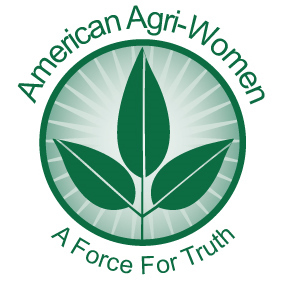 American Agri-Women (AAW) is the nation’s largest coalition of more than 40,000 farm, ranch and agribusiness women with over fifty state, commodity and agribusiness affiliate organizations throughout the United States. AAW’s mission is to unite women, agricultural organizations, and individuals to communicate with one another and with other consumers to promote agriculture for the benefit of the American people and the world. It is an all-volunteer organization, working to advocate for agriculture since 1974. AAW provides networking and leadership development opportunities for its members, such as with their Annual AAW convention and many issue-oriented committees by issue areas: Ag Business & Economics, Commodities, Natural Resources, Public Understanding & Awareness, and Education. AAW members include individuals who are interested in agriculture, such as producers, educators, students, accountants, marketers and consumers. Throughout the history of AAW, members have been actively involved and making a difference in legislative and regulatory matters at the local, state, and national levels. They have also been instrumental in student and consumer education about agriculture. AAW initiated the Agriculture in the Classroom program at the national level and is integrally involved in national and state programs still today. Founded in 1948, the National Association of Agricultural Educators (NAAE) is a federation of 50 state agricultural educators associations. NAAE seeks to advance agricultural education and promote the professional interests and growth of agriculture teachers. The organization also recruits and prepares students who have a desire to teach agriculture. NAAE is dedicated to developing professional pride, nourishing a spirit of unity among classroom teachers and recognizing members for conducting outstanding programs. The NAAE is structured as a federation of state agricultural educators associations with more than 7,650 members. NAAE programs and activities focus on three areas: advocacy for agricultural education, professional development for agricultural educators, and recruitment and retention of current agricultural educators. NAAE offers a variety of programs and services to support the Farmer-to-Farmer Program and sees its opportunities as an innovative component of professional development focus. NAAE has a well-established network of agricultural professional men and women who live and work in all 50 states and have strong skills in the latest agricultural technologies. They also bring practical approaches to agriculture that can be applied to smaller-scale East African agriculture. of the United States to assist the poor and vulnerable overseas.